Eurozone mortgage base rates hit a record low in June after the UK’s Brexit vote led to expectations of more quantitative easing by the ECB. 12-month Euribor – the rate used to calculate most mortgage repayments in Spain – came in at -0.028 in June, down from -0.013 in May, meaning the fifth consecutive month of negative Euribor interest rates. Compared to June last year, when Euribor was 0.163, the benchmark interest rate for Eurozone mortgages was down by 117%. As a result, borrowers in Spain with an annually resetting mortgage will see their mortgage payments fall by around €10 per month for a typical €120,000 loan with a 20 year term. The daily Euribor rate plunged after the UK’s Brexit vote to leave the EU, which dragged down the average for the month. The markets expect central banks to respond to the Brexit shock with more monetary stimulus to prevent the shock triggering a recession. 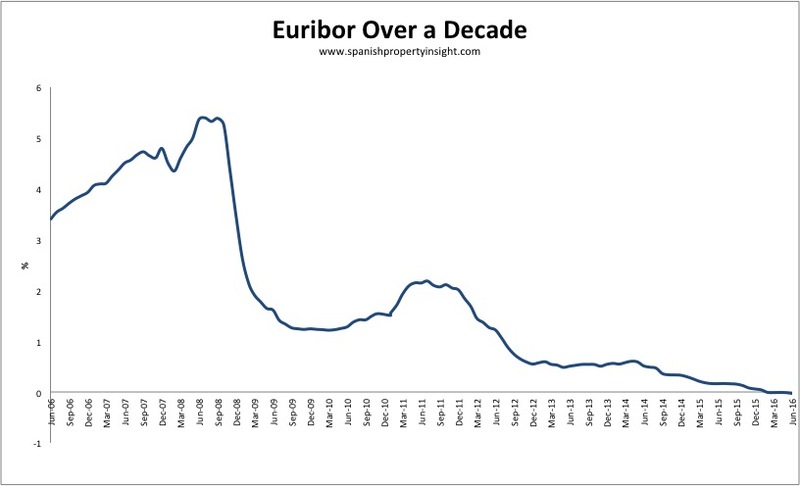 Look at Euribor over a decade, and you can see we are living in unusual times. It’s a fantastic time to take out a mortgage in Spain. 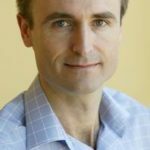 I am about leverage up with a 20 year fixed rate loan on an interest rate of less than 2%. My bet is that, at some point in the not too distant future, inflation will rear its ugly head and reduce the real value of my loan. And if it doesn’t, well what do I care if I’m only paying 1.99%? Of course I could be wrong about inflation. If we have years of deflation ahead I won’t be so pleased with my decision, but I can’t see that happening given the amount of money flooding the global system and debts building up all over the place. Inflation is the only way out. The number of new residential mortgages inscribed in the Property Register in April was up an annualised 24.6% to 23,607, reveal the latest figures from the National Institute of Statistics (INE). This shows that demand for new mortgages is still increasing at a high rate, which bodes well for the housing market. New mortgage signings have increased for 23 consecutive months based on the INE’s figures. The biggest volume of new mortgage loans was in Andalusia, followed by Catalonia and Madrid.